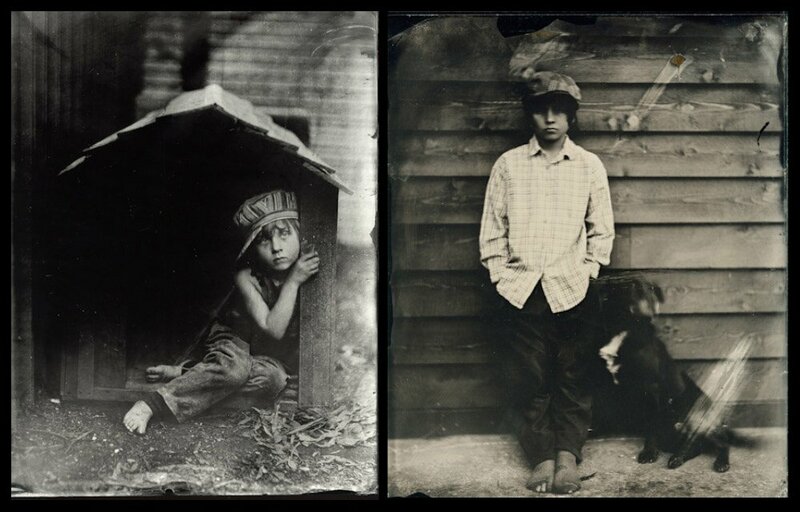 WET PLATE is a section dedicated to an antique photographic process discovered in the mid 19th century, which was also a primary photographic method used until the 1880s. It refers to a process of pouring a solution collodion onto a plate of thin iron or glass, then placing the plate into a camera and exposing it to the light and, at the end, developing that plate while it is still wet, which is the reason of naming the process (and our section) “wet plate”. 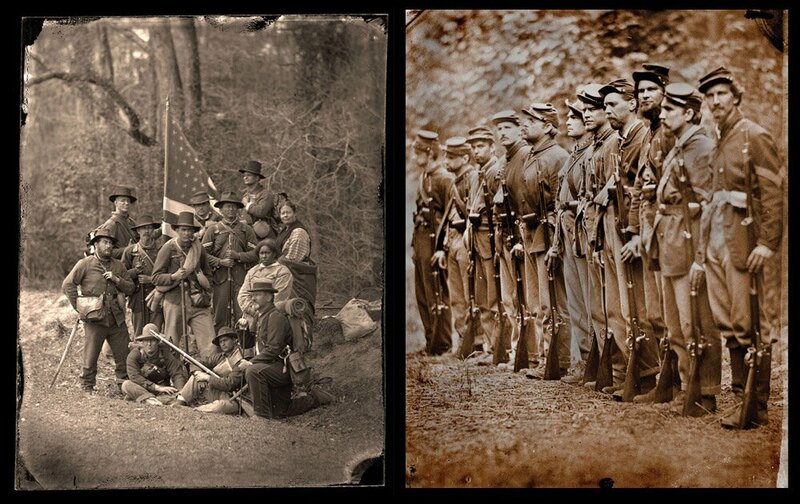 The images resulting from this process can be ambrotypes, glass negatives or tintypes. 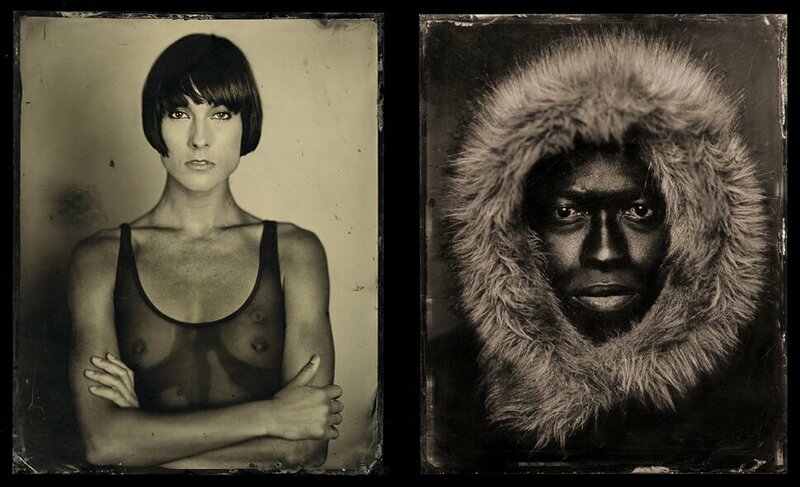 Although quite a demanding, expensive and lengthy process, wet plate collodion technique is gaining back its popularity among many contemporary photographers. 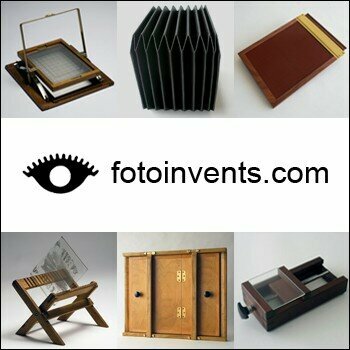 The term “wet plate” refers mainly to the photographic wet-collodion process, invented by Frederick Scott Archer. Archer, who started experimenting with collodion in 1848-1849, published the full details of the process in 1851, and is thus credited as the inventor of the process, although the use of collodion was also mentioned in 1850 both by Gustave Le Gray of France and Robert Bingham of England. Frederick Scott Archer, as the generally recognized inventor of the wet plate collodion process, also deserves credit for publishing the full details of the process in 1851 without first patenting it. Patents were a widely accepted practice at the time: for example, in order to use daguerreotype process in Britain at the time, you had to pay a license. Archer’s contemporary, Fox Talbot, even tried to get an injunction against Archer, claiming that wet collodion process infringes on his patented calotype process. 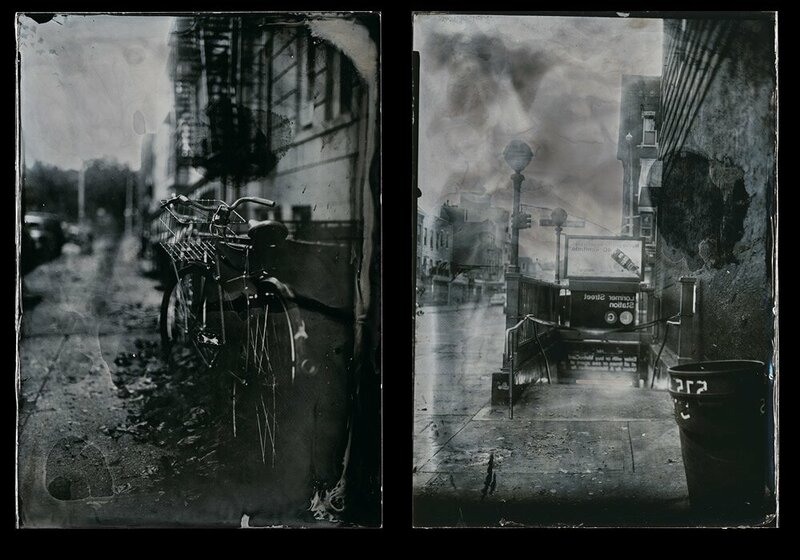 The wet-collodion process can be used to produce various types of final images: ambrotypes, tintypes, or glass plate negatives. The process consists of dissolving nitrated cotton in ether and alcohol to get collodion (from Greek “to stick”), a flammable, sticky liquid solution, which is poured over glass plates (or plates made from other materials, e.g. sheet metal for “tintypes”). The plate with the thin collodion coating is then sensitized (while still wet) by placing it in a solution of silver nitrate. The sensitized plate is then placed in the plate holder (in the dark, or under a safelight) to be exposed in camera before the coating dries, as it loses sensitivity to light as it dries. After the actual exposure using the camera, the exposed plate has to be developed in the solution of iron sulphate and acetic acid, rinsed and then fixed with hypo or potassium cyanide and given the final wash. Sometimes the resulting image is also hand-colored, and the final step in creating a wet plate image is usually coating it with varnish to protect the thin collodion emulsion, which is easily scratched and damaged. Images made on clear glass can be used as negatives, and prints made from such negatives in the usual way, or, more traditionally, as albumen prints. Images made on black glass are positive images, and can be viewed directly as positives, or ambrotypes. In order to achieve that effect, the back of the clear glass wet plate can also be viewed on black background, or coated with black varnish to make the effect permanent. The combination of wet plate collodion negatives and albumen prints was the most successful and widespread commercial photographic technique of the second half of the 19th century, until the appearance of gelatin emulsion plates (dry plates) during the final decade of the century. The tintypes (also called melainotypes or ferrotypes) are a variant of wet plate collodion process, similar to ambrotypes, resulting in direct positive image on a sheet (plate) of sheet iron, blackened by varnishing or lacquering (“japanning”): these were very popular, since they didn’t need mounting and the careful handling of the collodion images made on glass plates. They were also somewhat easier and quicker to make, and thus were very popular with the general public: there were many tintypists (photographers producing tintypes) who worked at fairs, carnivals and other public events in the second half of the 19th century. Tintypes were particularly popular in the USA, where the itinerant tintypists could be found at fairs as late as the 1920ies. 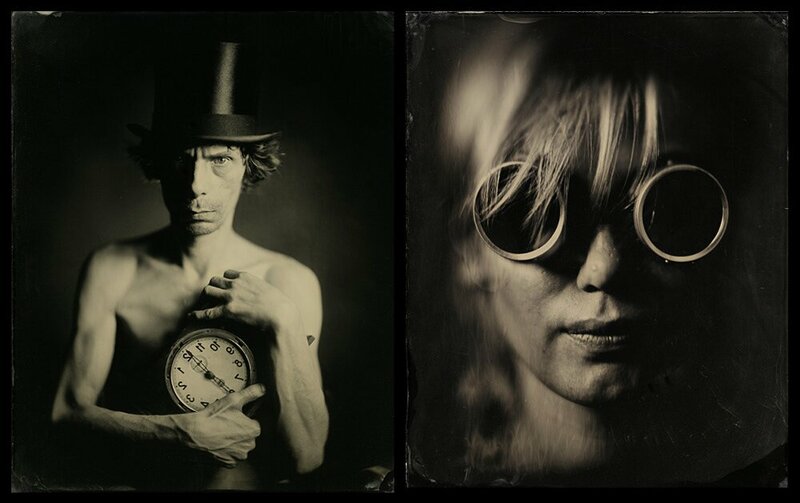 The modern-day revival of wet plate photographic process owes much to renown artists who embraced the technique for various reasons: Sally Mann, France Scully Osterman and Mark Osterman, Joni Sternbach, but also Jerry Spagnoli and Chuck Close, who work with daguerreotypes. Recently, somebody called me a story-telling photographer. I never thought about that, but he was right. I love to make pictures where the observer can think of his own story.